Liverpool secured the services of a player with a potent mix of talent, commitment and experience by agreeing a deal for midfielder James Milner in the summer of 2015. The Englishman arrived at Anfield in July following the expiry of his contract at Manchester City but his free transfer status was no reflection on his standing at the Etihad Stadium. Despite the Blues' attempts to retain a man who helped them claim two Barclays Premier League titles, an FA Cup and a League Cup, Milner's search for a new challenge brought him to the Reds. It marked the latest step on a journey that began at the age of just 16, when the Leeds-born youngster was handed a debut by his hometown club. Milner became the second youngest player ever to feature in the Premier League when he replaced Jason Wilcox to make a brief appearance against West Ham United in November 2002. And he soon claimed the record as the youngest ever scorer in the competition by notching against Sunderland at the age of 16 years and 356 days - though he has since surrendered the accolade to James Vaughan. Milner's stint in the first team of the club he supported growing up was cut short, however, with Leeds forced to sell him to Newcastle United following their relegation in 2004. The Englishman spent four seasons with the Magpies - one of those out on loan at Aston Villa - before a permanent move to Villa Park was agreed. By then he had already clocked up 169 top-flight appearances aged just 22 and his rise to prominence continued in the Midlands. He helped Martin O'Neill's team to consecutive sixth-place finishes in the league before earning long overdue recognition at senior level with England. Famously, Milner holds the record for the most appearances for the Three Lions' U21 team with 46, having been a regular between the ages of 18 and 23. Unlike many talented English youngsters, the midfielder was forced to wait to come of age before stepping up to the full side in an August 2009 friendly meeting with the Netherlands. But both Fabio Capello and Roy Hodgson have relied on him since, with more than 50 full caps the result to date. Inevitably, an international call-up only served to further highlight Milner's progress, and in the summer of 2010 title-chasing City swooped. James became a regular under both Roberto Mancini and Manuel Pellegrini in five years at the club, picking up every domestic trophy on offer in the process. He also added to his reputation as a selfless player, willing to put the team cause above personal glory, with his relentless running, boundless energy and ever increasing in-game experience. 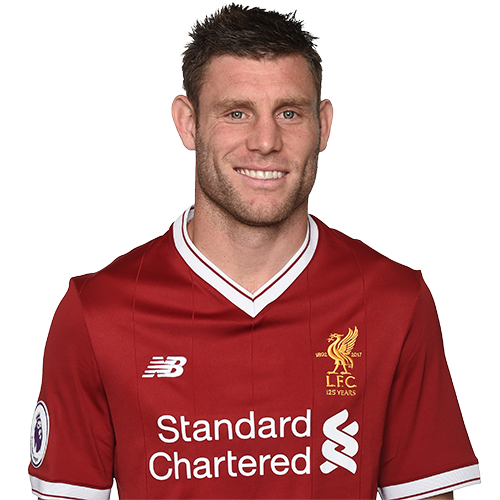 Although he was limited to 18 Premier League starts in 2014-15, Milner provided five goals and seven assists for City, ensuring plenty of interest from other clubs as his contract ran down. But it was Liverpool who won the race for his signature and the England international was a new, though familiar, face walking through the doors at Melwood when the squad returned for the start of pre-season.